ASX-listed company Bega Cheese will be investing up $25 million in business initiatives that will ensure the sustainability and growth of its milk supply. According to a statement issued to ASX, Bega Cheese Executive Chairman Barry Irvin said it is important for the company to develop strategies that strengthen the link between Bega and its suppliers. The rising competition for milk coupled with a static Australian milk supply is eliciting new approaches that encourage suppliers to invest and sustainably grow their milk supply in order to have long term supply security and ultimately meet business objectives. ”Absolutely there is going to be intense competition for milk – and not just in this next period but over the next few years,” Mr Irvin said, quoted in a report on the Sydney Morning Herald. As part of its strategy Bega Cheese directors and senior management are holding several meetings with suppliers in order to discuss new models to foster longer term relationships among the parties. Meetings in Western Victoria and Tatura already took place earlier this week, while a meeting with Bega will be hosted on Thursday and Gippsland later this month. The company is committing financial support to environmentally sustainable practices and supply growth projects that will help Bega respond to the continuous global demand for their products. 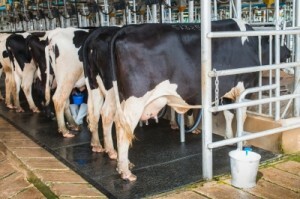 Bega collects about 650 million litres of milk annually to process into dairy products which include cheese, cream cheese, milk powders and infant formula for the domestic and export markets. Mr Irvin said the investment is the first of their strategic initiatives following the Warrnambool Cheese and Butter bid in which the company and Australian dairy exporter Murray Goulburn lost out to Canada’s Saputo.